Home / Rain Bird 9vdc battery controllers, 9vdc valves and accessories. / Rain Bird Agricultural CYCLIC control systems. 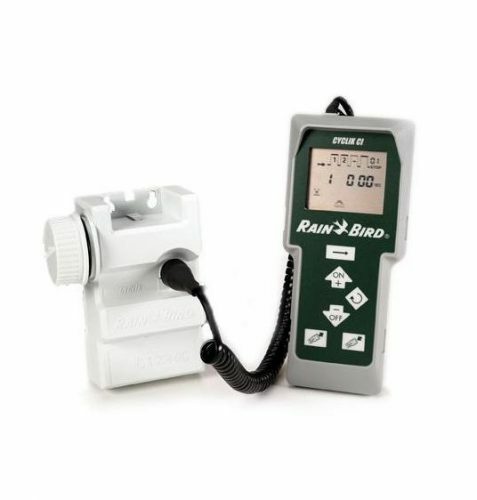 The Rain Bird CYCLIC system is designed to manage agricultural watering cycles where no power is available for remote valve operation. Individual programmable modules operate standard solenoid valves fitted with 9vdc latching coils. The Rain Bird CYCLIC system is deigned to manage agricultural watering cycles where no power is available for remote valve operation. Indidual programable modules operate standard solenoid valves fitted with 9vdc latching coils.